The re-thatching of Lea Ford Cottage, a historic Tudor farm cottage, has been an important project at the Hams Hall Environmental Studies Centre. Lea Ford Cottage is an ancient c17th Tudor farm worker’s cottage originally located near the small village of Lea Marston. Through around 10 generations, for almost three hundred years, the building remained virtually unchanged, because of its isolation. As a result of the disappearance of the road leading to the cottage from Lea Marston across the river ford, the cottage’s original site could only be accessed by walking across a field and grass track bridge over the railway line. For 36 years after the last tenants occupied Lea Ford cottage in 1938, the building was left empty and gradually deteriorated, but was still well-protected from the public in its secluded spot. You can read more about the history of the cottage here: http://www.tamevalleywetlands.co.uk/lea-ford-cottage/. Lea Ford Cottage before its renovation. However, in 1975, Birmingham Architectural Association realised the huge historical value of Lea Ford cottage. 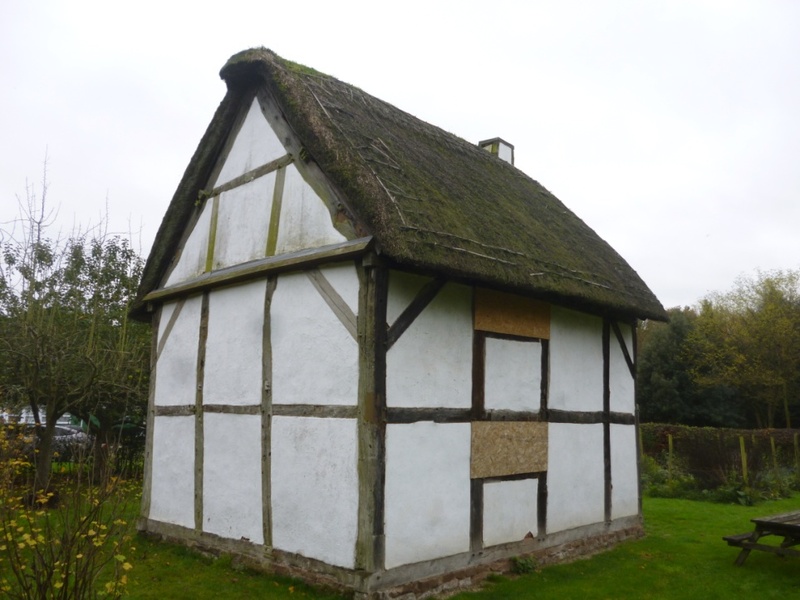 Thus, with funding by the Central Electricity Generating Board and Birmingham City Council, the cottage was carefully dismantled, moved and re-built by conservation experts from Avonscroft Museum. It is now situated on-site at the Hams Hall Environmental Studies Centre. One of the WWT’s recent projects, funded through our National Heritage Lottery Fund (NHLF) Landscape Partnership, has been to restore the cottage to near its original state so that it can be used by visitors for educational purposes, such as to provide an inspiring learning space for school groups. Original documents regarding the restoration propose that repairs should be carried out without compromising the historical aspects of the cottage, to retain its architectural significance. This meant it was important to use traditional techniques and materials for the restoration. 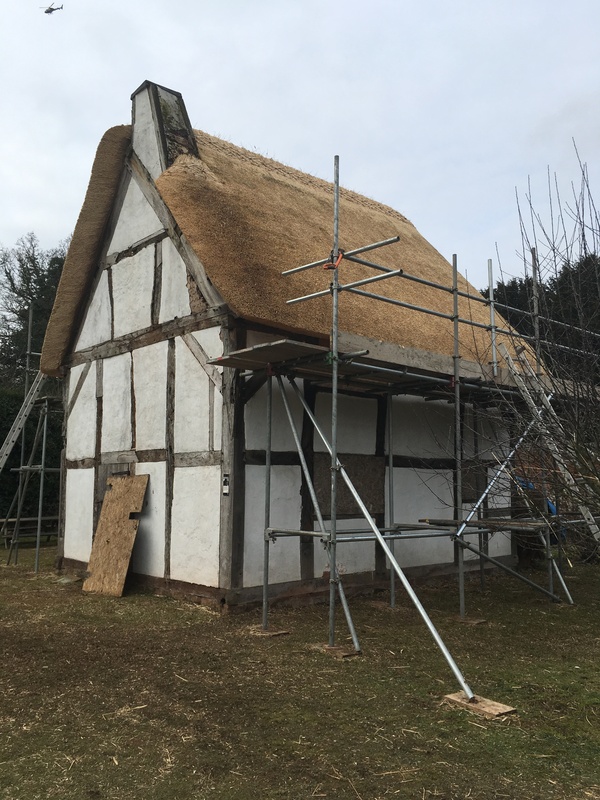 Alongside plans to render the walls with lime mortar, a major task has been to repair and replace the thatched roof of the cottage, to make the building weather-proof and ensure its longevity. This has involved a huge effort from talented thatchers who worked long hours throughout the winter to get the new thatch on the roof. As well as making sure the cottage’s historical integrity was preserved, it was important that various surveys of the building were performed to ensure there was no impact on protected species such as bats. Combed wheat reed used to thatch the new roof. 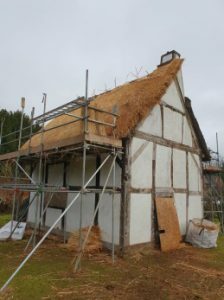 The re-thatching began on Monday 21st January 2019, when scaffolding was put up around the cottage. Just two days later, new thatch was already being laid in place. 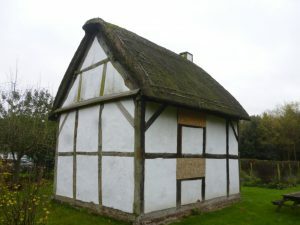 The thatch used to build the roof, called combed wheat reed, was grown in Devon and is commonly used for thatching in various areas of the UK such as East Anglia. Combed wheat reed is a sustainable material and can be grown and harvested without requiring heavy machinery. Its name is slightly misleading – instead of being a reed, it is in fact a variety of wheat which has been cultivated and selected specifically for thatching purposes. Combed wheat reed has longer stems and smaller ears than wheat used for flour, making it the perfect thatching material. 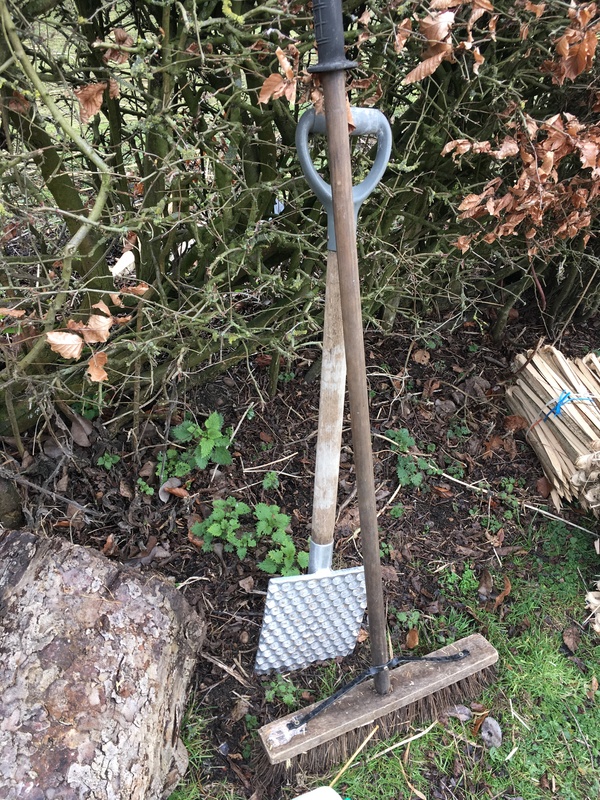 A leggett, used to thatch the new roof. The thatching was complete by Friday 1st February. The finished roof looked beautiful, carefully trimmed with shears to make the edges neat and tidy. The final step of the process was to put a mesh over the thatch to secure it in place and take down the scaffolding. The new roof provides an excellent level of protection and natural weather-proofing for the cottage whilst keeping its historical authenticity. 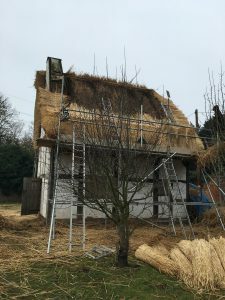 The thatch is also a good insulator, so the building will stay warm in the winter and cool in the summer, allowing it to be enjoyed all year round. In terms of protecting our environment, combed wheat reed thatch is a sustainable material so is ideal for creating a beautiful-looking and environmentally-friendly roof! Generally, thatched roofing lasts for up to 35 years before it may need repairing. This means the renovated roof is a valuable investment for Lea Ford Cottage in the long-term. 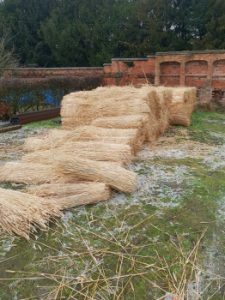 Over time, the thatch will begin to darken in colour and will blend into its surroundings, so its appearance will really fit in at the Hams Hall site. The renovation is due to be finished by the end of March 2019. 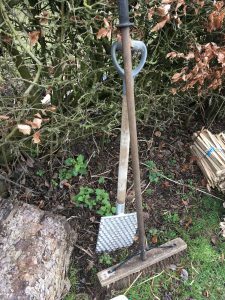 This entry was posted in Latest News, Project updates, Projects, Uncategorised on 13th February 2019 by Emily Reilly.